Dark times have come to Hogwarts. After the Dementors' attack on his cousin Dudley, Harry Potter knows that Voldemort will stop at nothing to find him. There are many who deny the Dark Lord's return, but Harry is not alone: a secret order gathers at Grimmauld Place to fight against the Dark forces. 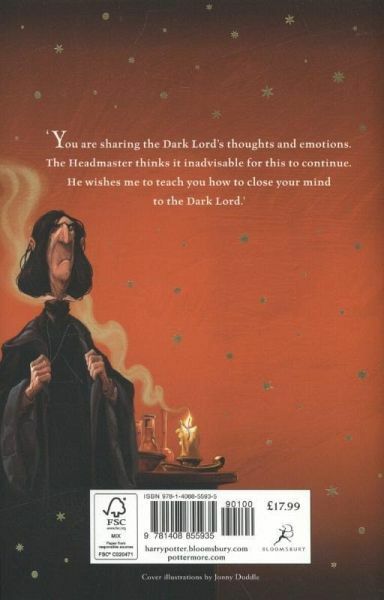 Harry must allow Professor Snape to teach him how to protect himself from Voldemort's savage assaults on his mind. But they are growing stronger by the day and Harry is running out of time. These new editions of the classic and internationally bestselling, multi-award-winning series feature instantly pick-up-able new jackets by Jonny Duddle, with huge child appeal, to bring Harry Potter to the next generation of readers. It's time to PASS THE MAGIC ON . J.K. Rowling is the author of the record-breaking, multi-award-winning Harry Potter novels. 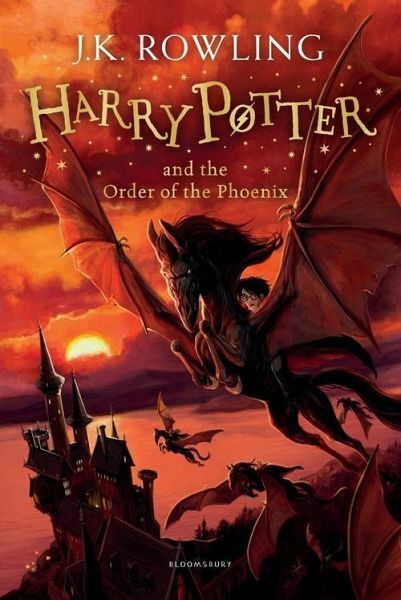 Loved by fans around the world, the series has sold over 500 million copies, been translated into 80 languages, and made into 8 blockbuster films. She has written three companion volumes in aid of charity: Quidditch Through the Ages and Fantastic Beasts and Where to Find Them (in aid of Comic Relief) and Lumos, and The Tales of Beedle the Bard (in aid of Lumos), as well as a film script inspired by Fantastic Beasts and Where to Find Them, which marked the start of a five-film series to be written by the author. She has also collaborated on a stage play, Harry Potter and the Cursed Child Parts One and Two, which opened in London's West End in the summer of 2016 and on Broadway in early 2018. In 2012, J.K. Rowling's digital company Pottermore was launched, where fans can enjoy news, features and articles, as well as original content from J.K. Rowling. She has also written The Casual Vacancy, a novel for adult readers, and the Strike crime series, written under the pseudonym Robert Galbraith. As well as receiving an OBE for services to children's literature, she has received many awards and honours, including an OBE and Companion of Honour, France's Légion d'honneur, and the Hans Christian Andersen Award.